Yes, we think a wardrobe is necessary and yes, we highly recommend adding a wardrobe to your bedroom. Wardrobes are like cabinets for the bedroom. Cabinets are necessary, aren’t they? Whether freestanding or built in, a wardrobe is an independent piece of furniture that has walls, a bottom, a top, and doors. You can use a wardrobe for a variety of things, but storage is the most common. Different wardrobes feature different compartments for whatever function you need. 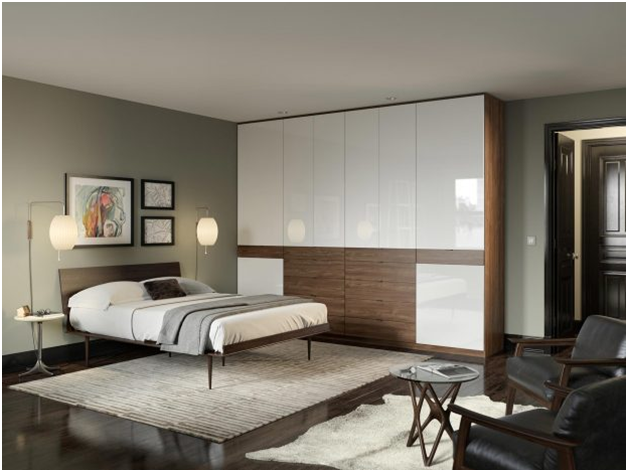 We give you some tips on selecting the right wardrobe for your bedroom. Get your tape measure. We’ve got some measuring to do. Two things. First consider the shell space and actual space the wardrobe will fit into. Second, measure the height of your actual items to be stored and the number of things that will be stored. Having this information is crucial when determining the appropriate wardrobe size. You will be pleasantly surprised at the range of sizes of wardrobes on the market. Although your space will influence this decision, think about corner wardrobes for awkward spaces or what opening the doors of your wardrobe will look like. This is called your clearance space. 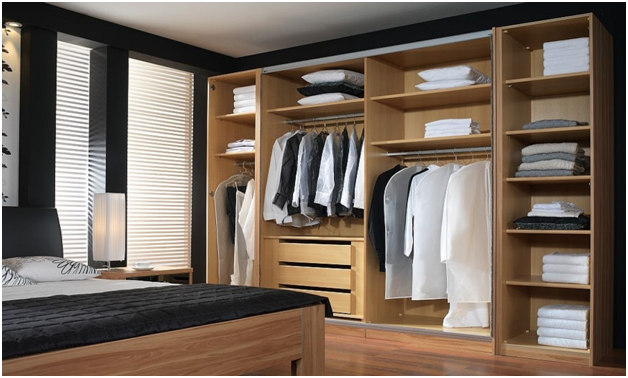 There are several different types of wardrobes you can invest in. Built-In Fitted wardrobes are ideal when you are customizing your bedroom to the tee as you have the opportunity to build it from scratch and ensure it aligns with your lifestyle. On the flip side, having this level of customization is easily the most expensive option and will be permanent to whichever living space you choose. But a great investment indeed. Free Standing wardrobes are some of the most popular and the most mobile. The more modern sliding wardrobes have become more common over the years and are the most practical choice for smaller rooms for the doors simply move from left to right instead of the traditional swinging doors that take a lot of real estate when opening. 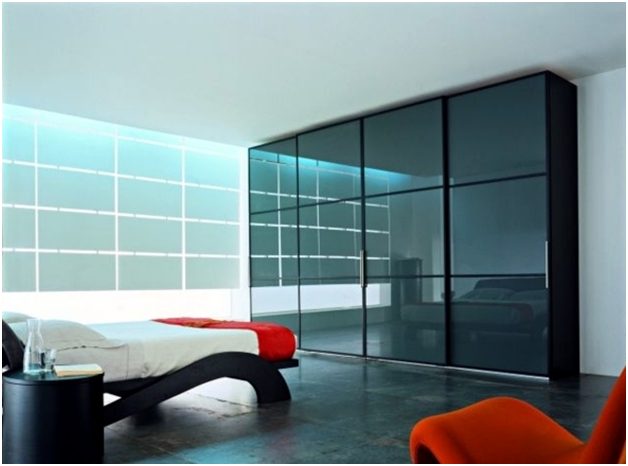 Mirrored wardrobes provide a full length, larger mirror that can be used instead of investing in an additional mirror. They can also save space that the other mirror would have consumed. Lastly, mirrored wardrobes can open up the space and make it appear more spacious and brighter. Open wardrobes feature hanging rods and shelves that allow for the storage of your essentials, but in an open, industrial fashion. These are used when space is extremely limited as there are no doors or walls and structure. It can be exhausting to finally make aesthetic decisions after toiling away with the other important guidelines above. This is actually your time to shine and have a little fun with it. Pat yourself on the back because you have the most important items covered first with knowledge to match. You are armed with the type of wardrobe you want, and you know your size specifications. Still, don’t overlook this step because at this point you should think about how you’d like your overall space to look because the wardrobe will be the ultimate focal point and tie in for the entire space. Think about textures, colors, finishes, and material types that will best complement the existing space. Are you thinking about painting accent walls? Are you looking for a certain look that particular woods or metals can accomplish? At the end of the day, your wardrobe is for you. While making sure it meets the designing eye, also ensure your storage needs are taken care of too. Your wardrobe should not only match your bedroom, but most importantly, you!